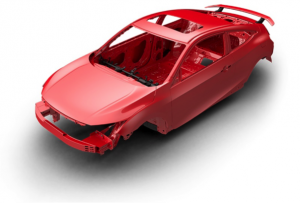 This release contains: 1 Related Document The new 2017 CR-V’s chassis has evolved to provide more agile and confident handling, greater refinement, additional ground clearance, and superior overall versatility. 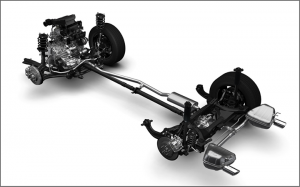 Increased front and rear track widths combined with front MacPherson strut and rear multi-link suspension with specially tuned low-friction dampers and tubular front and solid rear stabilizer bars promote responsive turn-in and flatter cornering. A new dual-pinion, variable gear ratio Electric Power Steering (EPS) system also contributes to the CR-V’s direct and satisfying steering feel. This release contains: 1 Related Document, 11 Photos America’s Best-Selling SUV gains more powerful turbo engine offering class-leading fuel efficiency Honda Sensing ™ technology now standard on EX and higher trims New Display Audio featuring Apple CarPlay ™ and Android Auto ™ More premium interior boasts larger cabin with best-in-class rear seat legroom and larger, more versatile cargo space DETROIT – Honda has pulled the wraps off an all-new, fifth-generation CR-V, America’s best-selling SUV over the past 20 years. The completely redesigned and reengineered 2017 CR-V, going on sale this winter, boasts bold new styling, a more premium interior, the model’s first-ever turbocharged engine and a host of new features and technologies aimed at maintaining CR-V’s status as the outright benchmark in the highly popular compact SUV segment. New Honda Civic and Pilot boast top-class fuel efficiency, collision safety ratings, and available Honda Sensing suite of advanced safety and driver-assistive technology This release contains: 1 Related Document, 2 Photos The completely redesigned 2016 Honda Civic ( automobiles.honda.com/civic ) and 2016 Honda Pilot SUV ( automobiles.honda.com/pilot ) have been named to the 10 Best Family Cars list by the parenting and car experts at Parents magazine and Edmunds.com. 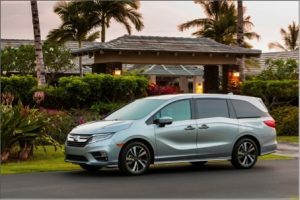 The two family-friendly Honda vehicles were selected out of hundreds of models for excelling in the key areas of safety, convenience features, performance, design and value. 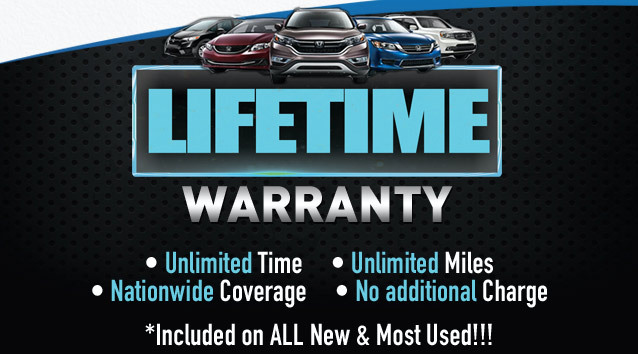 This release contains: 1 Related Document As with all Honda vehicles, the 2017 Ridgeline is designed to provide a high level of safety performance, starting with predictable and stable driving dynamics that help drivers maintain control over their vehicle in a wide variety of driving environments and circumstances, including emergency avoidance maneuvers. 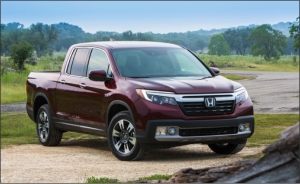 This release contains: 1 Related Document Modern and stylish, rugged and sporty, the new 2017 Ridgeline’s exterior advances Honda’s midsize pickup to the forefront of its class in design and functionality.